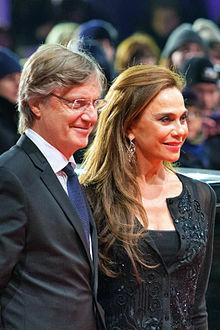 Lena Olin (born 22 March 1955) is a Swedish actress. She played Josephine in Chocolat. She also played Ruby in Hollywood Homicide. Olin was born in Stockholm. ↑ "Lena Olin". MSN. Retrieved June 23, 2014. ↑ "Lena Olin". TV Guide. Retrieved June 23, 2014. This page was last changed on 23 June 2014, at 10:09.